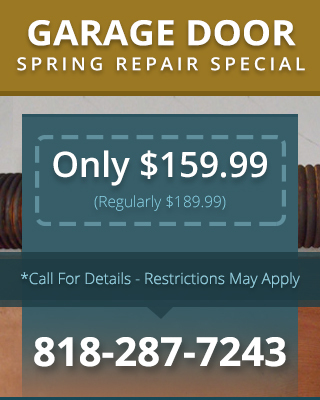 Torn Between Garage Door Repair in Mission Hills CA and Garage Door Replacement? Unlike some other companies that may be looking out for their own best interests, at Carroll Garage Doors we look out for your best interests. We always give honest advice about your options when you need to correct a garage door problem. One of our expert technicians will thoroughly inspect the door, diagnose the problem, and then advise whether it would be more cost-effective to replace the door or fix the problem with garage door repair in Mission Hills CA.